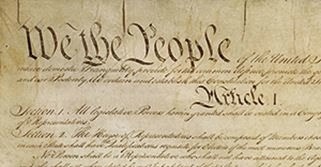 The Minnesota Humanities Center wonders whether our communities feel a common connection to the Constitution. Not quite sure where you land on the topic? 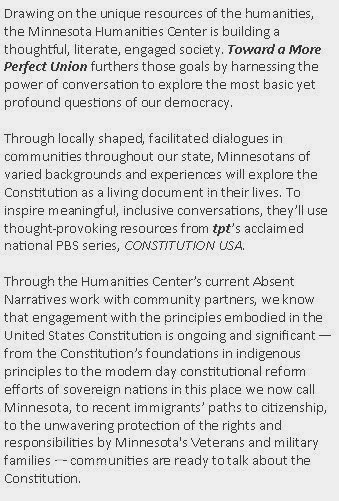 Join a groundbreaking "community of Minnesota communities" who are talking about the United States Constitution and host your own conversations with your local community. 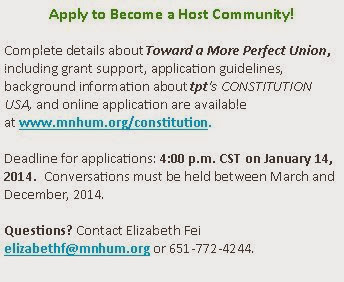 More details below and online!